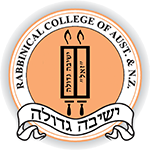 Studies: Spring 5772 - Rabbinical College of Australia and N.Z. This past semester, Iyun (in-depth Talmud) studies at the Rabbinical College focussed on the third chapter of Tractate Kiddushin. This chapter addresses a number of important legal issues, such as if an agent breached his agreement with the sender, the ethical propriety of acquiring something that another is actively seeking to obtain, and the rules governing the legalities of all stipulations in Torah Law. Girsa (Talmud survey) studies varied, with some students focussing on the laws of blessings discussed in Tractate Brachos, and other students studying the layout of the Beis Hamikdosh and its divine service, as described in Tractate Tomid. Yet another group devoted themselves to mastering significant portions of Tractate Kiddushin by heart, with a combined total well over one-hundred Blatt (folios). The daily morning Chassidus studies included a series of Ma’amarim (Chassidic discourses) focusing on prayer. Our sages tell us that our forefather Yakov’s dream about a ladder “standing on the ground and reaching into the heavens” symbolizes prayer. In Kabbalistic thought, Yakov’s ladder has four rungs. Chassidic teaching identifies the four stages of the morning Shacharis prayer. Chassidus night studies focussed on the topic of obstacles and tribulations; how to overcome them, and indeed, grow from them.